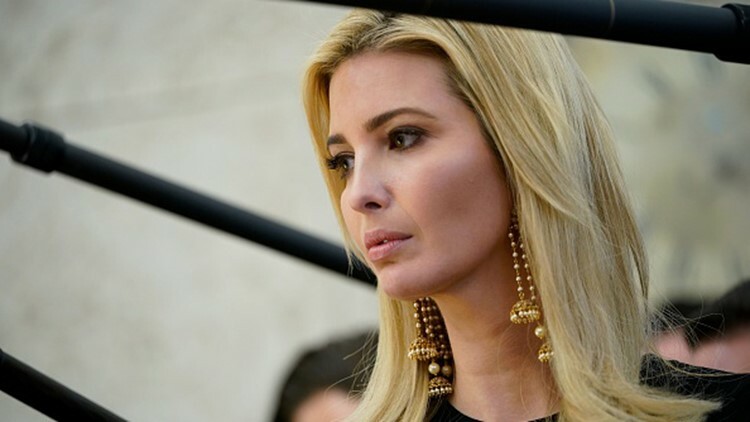 Advisor to US President Donald Trump, Ivanka Trump, is seen during a working session regarding opportunity zones following the recently signed tax bill in the Oval Office of the White House on February 14, 2018 in Washington, DC. The White House did not immediately respond to questions about the email use, but a spokesman for Ivanka Trump's lawyer, Abbe Lowell, didn't dispute the report. “While transitioning into government... Ms. Trump sometimes used her private account, almost always for logistics and scheduling concerning her family,” said the spokesman, Peter Mirijanian.